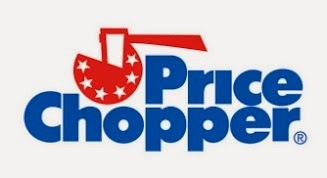 Price Chopper Weekly Coupon Matchups 2/1-2/7! Current Snap offers - $2.50/1 Wonderful Almonds, $0.25 Salsa + More! PC Roasting Chicken or Whole Fryer - $1.29 lb. Hatfield Marinated Pork Tenderloin - B1G1 at $6.99 lb. Salmon Fillets - $5.99 lb. Red or Green Seedless Grapes - $2.99 lb. Green Beans - $1.77 lb. Sweet Potatoes, Russet Potatoes or Red Potatoes - $0.99 lb. Sara Lee Old Fashioned Cooked Ham - $4.99 lb. Sara Lee Low Sodium Chicken Breast - $6.99 lb. D&W Gourmet Lite Turkey Breast - $7.99 lb., London Broil Beef $10.99 lb. Tobin's Mother Goose or Liverwurst Meat Bologna - $4.99 lb. Regarding the crest toothpaste coupons the first one i cant find on coupons.com. how do you put in the other zip code like you said "use zip code 03103 if needed". And i dont think the other 2 below that one will work because they exclude tarter baking soda and cavity and i checked at price chopper today and those are the only kinds of crest that are on sale.